Hear rising stars from The Juilliard School perform selections from some of classical music’s best-loved composers in The Greene Space. Leave the emails, phone calls, and stress behind, and settle in for an hour of musical serenity. 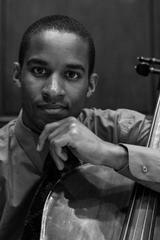 Performing today will be Khari Joyner (cello) and Cherie Roe (piano). 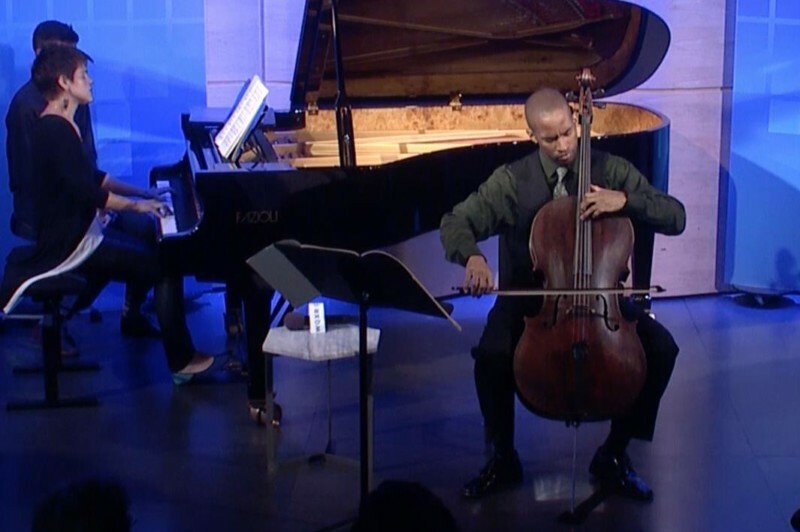 Quickly emerging as one of the leading cellists of his generation, Khari Joyner has a following both nationally and abroad as a versatile soloist, chamber musician, and ambassador for the arts. He has performed with the Atlanta, Buffalo, New World, New Jersey, and Sphinx Symphonies, and has collaborated with artists ranging from Magnus Lindberg, Barbara Hannigan, and Hubert Laws. Some of his other accomplishments include his being awarded the William Schuman Prize for outstanding achievement and leadership in music at Juilliard’s 109th Commencement ceremony, winning first prizes in the Juilliard Concerto Competition and 12th Annual Sphinx Competition, and giving a private performance in the Oval Office for President Obama. Joyner has also been featured as a soloist with both the Juilliard Orchestra and New Juilliard Ensemble in Alice Tully Hall, performing Britten’s Symphony for Cello and Orchestra with the former, and the U.S. Premiere of the late Valentin Bibik’s Cello Concerto No. 2, with the latter. Ohio native, collaborative pianist, and vocal coach, Chérie Roe has performed in concert in the US, Czech Republic, Belaruse, Italy, and Singapore. 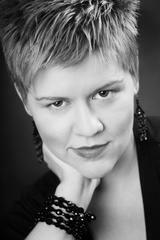 Chérie enjoyed her summer coaching at Classical Singer NY right here in the heart of the city. She particularly enjoyed her July debut at Merkin Hall playing for the MRL International Festival, in collaboration with Beijing Conservatory. Prior to her NYC move, Chérie resided in Las Vegas where she was on staff at University Nevada Las Vegas as an opera coach and pianist. Ms. Roe has also held positions with Virginia Opera, Ashlawn Opera Festival, and Cleveland Opera. Ms. Roe holds a master’s degree in Collaborative Piano from Cleveland Institute of Music, where she received the Dean’s Award for academic excellence. She is in her second year of the Collaborative Piano Graduate Studies program at Juilliard.